ON 3 JUNE 1978, Peruvian footballer Teófilo Cubillas broke the hearts of five million Scots with a set-piece of ineffable magic. Moments earlier, Cubillas stood 20-yards away from the Scottish goal, staring down goalkeeper Alan Rough. Rough, like any sane goalkeeper, was expecting the Peruvian to strike the ball around the outside of Scotland’s six-man wall into the right-hand corner. Unfortunately, Rough miscalculated. Juan Muñantes’ dummy lowered the Scots’ guard enough for Cubillas to thunder the ball into the back of the net with the inside of his boot, leaving Rough and Scottish fans utterly speechless. It was one of the greatest goals in World Cup history and demonstrated just how far the man from Peru had come. Born in Lima in March 1949, Cubillas began his footballing career aged 16. Playing for local side Alianza Lima in 1966, Cubillas’s teammates named him ‘El Nene’ (The Baby) owing to his age and boyish looks. Cubillas soon proved that he possessed an ability far beyond his years. Playing primarily as an attacking midfielder, he scored 19 goals in 23 appearances, making him the top goalscorer for that season’s Primera División, a feat he repeated in 1970 when he notched 22 goals in 27 games aged just 20. His feats in 1970 were enough to earn a place in Peru’s 1970 World Cup squad, a significant moment for both Cubillas and the nation. It was the first time Peru had travelled to the tournament since 1930 and it came at a time of mourning for La Blanquirroja. Days before the tournament, Peru’s coastline experienced a devastating earthquake that left 70,000 dead and many more homeless. It was the worst natural disaster in the country’s history and left the Peruvian public, and indeed the football team, utterly speechless. Speaking years later, Cubillas revealed that no matter how trivial football seemed in the face of such losses, the Peruvian team were determined to raise the country’s spirits by progressing through their World Cup group, thereby bringing some joy to a nation crippled by its losses. Placed alongside West Germany, Bulgaria and Morocco, this would be no easy task. Yet cometh the hour, cometh the man. In Peru’s first game, against Bulgaria, Cubillas scored the winning goal in an exciting 3-2 victory for the South American side. Cubillas would better this feat in the following match against Morocco, in which he found the net twice. Cubillas even managed to score against West Germany in Peru’s 3-1 loss to the European giants. On football’s biggest stage, Cubillas was shining. More important than that, however, was the utter joy with which the Peruvians were playing with; an infectious joy that brought a smile to the face of both the Peruvian fan and neutral spectator. Pelé’s praise was well-founded. When the tournament ended, Cubillas was awarded the Young Player of the Tournament award, the Bronze Ball and was named in the World Cup’s Best XI, all at just 20. Progressing further than any Peruvian team before or since, Peru’s 1970 squad helped – in some small way – to give hope to a nation still mourning. It was a team effort in which Cubillas’s contribution was invaluable. Within two years it was apparent that Cubillas’s World Cup form was no mere fluke. At the 1972 Copa Libertadores, Cubillas finished as joint top-scorer, despite Alianza failing to progress past the group stages. This meant that the attacking dynamo had scored six goals in six matches in South America’s most gruelling tournament. 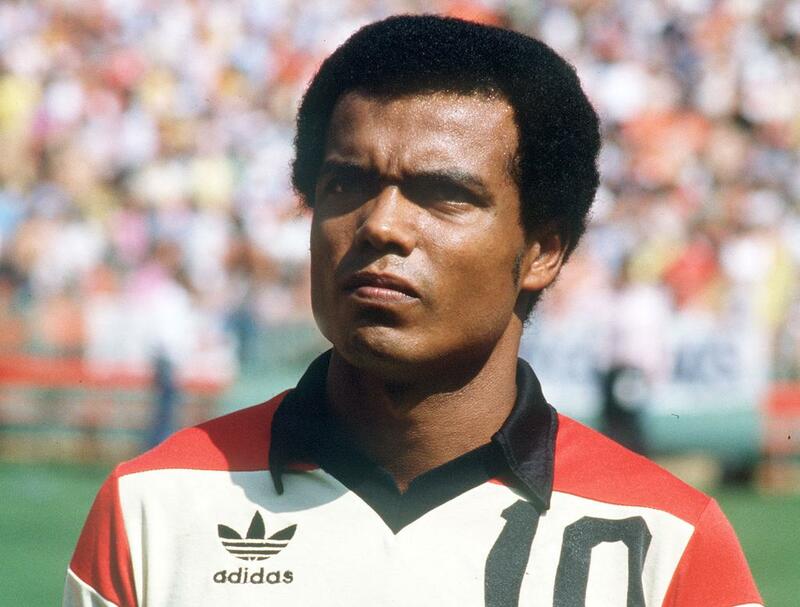 Still in his early 20s, Cubillas complimented his Libertadores form that season with 14 league goals in 29 games and a string of impressive international performances. In recognition of his exploits, Cubillas won that year’s South American Footballer of the Year, beating off the likes of Pelé and Jairzinho. Pelé’s chosen successor was living up to his reputation. Interestingly, it was a charity match in the summer of 1973 that would see Cubillas make a lucrative, albeit unexpected, transfer to Europe. Playing in a UNICEF match against a European XI containing Franz Beckenbauer, Johan Cruyff, Gerd Müller and Eusébio among others, Cubillas had dominated the game, scoring two goals in the South American XI’s 3-1 victory. Overseeing the game was Ruedi Reisdorf, an FC Basel fan then working for the charity. After the game, Reisdorf asked Cubillas how much it would take to bring him to Basel. Somewhat nonchalantly Cubillas replied $100,000, thinking the conversation to be nothing more than a passing fancy from the Swiss fan. You can imagine Cubillas’s reaction when months later an excited Reisdorf called Cubillas from Lima airport telling him he had the $100,000. If reports are to be believed, El Nene immediately drove to the Alianza’s training ground to speak with the chairman about staying in his hometown. The two men decided to price Reisdorf out of the transfer, a tactic that underestimated the Swiss man’s determination. When told Cubillas’ value had risen to $300,000, Reisdorf smiled before accepting. Within weeks, Cubillas was reluctantly on a plane to Basel to begin his European adventure. Amazingly, FC Basel had secured one of South America’s greatest footballers, a feat they have yet to repeat, one that even at the time of writing seems unbelievable. Perhaps unsurprisingly given Cubillas’s initial reluctance, his time with Basel did not prove to be a happy one. Unaccustomed to the cold weather, strange language and strict training regime, Cubillas struggled. As Cubillas was Basel’s only professional player at the time, he trained two to three times a day and fed on a diet mainly salads to ensure his health. Within six months he had dropped nearly 10 kilos and, while his performances were characteristically stellar, the midfielder was miserable. Just months into his contract, Cubillas met with Reisdorf to discuss his problems. Far from angry, Reisdorf proved remarkably sympathetic to the Peruvians plight, despite the fact that the maestro was improving Basel’s form on the pitch. When Cubillas asked to be sold to another club, Reisdorf agreed. Porto came in with an offer of $400,000 and the Peruvian gratefully moved to a warmer European climate. Cubillas became the highest-paid player in Portugal at the time, ahead even of the legendary Eusébio. Rather than falter under the pressure of his price tag, Cubillas flourished. 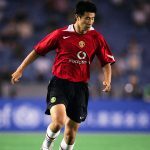 For three years he wore the number 10 jersey at Porto where he marshalled the midfield and produced a series of spectacular goals that have lived in memories ever since. Though Porto only won a single trophy during his tenure, his 65 goals in 109 games and inspired captaincy ensured his legacy with the Portuguese side. Indeed, when Cubillas returned to Porto for a speaker’s function in 2012, he was hailed by the press as one of Porto’s shining lights of the 20th century. While still a Porto player, Cubillas also experienced his greatest success in a Peruvian shirt. While the national team failed to qualify for the 1974 World Cup in West Germany, they bounced back to win the 1975 Copa América. Despite notching a solitary goal in the tournament, Cubillas was voted the Copa’s best player, demonstrating his importance to the Peruvian side once more. Returning to Portugal following the Copa, Cubillas continued his form by helping Porto win the Taça de Portugal, his sole title in Portugal. Although fans were desperate to keep Cubillas at the club, after three years in the blue and white Cubillas sought to return to Peru. The 1978 World Cup was on the horizon and the fleet-footed creative maestro was keen to return to Alianza Lima, the place where his remarkable career had begun. Similar to Basel, Porto posed little objections and, in 1977, Cubillas became an Alianza player once more. Back in his natural habitat, it was inevitable that Cubillas would turn out for Peru in their 1978 World Cup run, much to the misfortune of Scottish football fans. Scoring four goals in three games, Cubillas helped Peru finish top of their group, ahead of Holland and a highly-fancied Scottish side. While the second group stage would see Peru finish bottom of their group, Cubillas had done enough to finish second top goalscorer in the tournament, only one goal behind the prolific Mario Kempes. Cubillas’s five goals in ’78 saw him become one of the few players to score five goals in two separate World Cups. Given that he regularly played as a midfielder in such games, the return was nothing short of phenomenal. Off the back of his second standout World Cup, Cubillas was signed by Fort Lauderdale Strikers to embark upon the NASL adventure all footballing legends seemed to undertake in the 1970s. Over five seasons with the Strikers, Cubillas scored 65 goals in 141 games and created a formidable partnership with Gerd Müller and, for a brief period, George Best. The 1981 season would prove Cubillas’s most fruitful in Lauderdale as the Peruvian number ten notched 17 goals, including a hat-trick in just seven minutes against the LA Aztecs, the team briefly owned by Elton John. Although Lauderdale failed to capitalise on his rich form, he was nevertheless named NASL’s midfielder of the season for 1981. His domestic form was enough to secure Cubillas a spot in Peru’s 1982 World Cup squad. The only remaining squad member from Peru’s marauding 1970 squad, Cubillas played in Peru’s three ill-fated group games. Peru finished bottom of their group and dejectedly returned home. The magic of ’70 and ’78 had faded as Peru exited the World Cup. They have yet to return. The remaining years of his career would see Cubillas alternate between the United States and his beloved Alianza Lima. While he nominally retired in the mid-1980s, Cubillas returned to Alianza Lima in 1987 after Aliancistas lost the majority of their first team in a tragic air disaster. Despite being in his late-30s, Cubillas helped to rebuild the side, scoring three goals in 13 games as Lima sought to rebuild. The cliché of class being permanent was always applicable in the case of Téofilo Cubillas. The challenge in summing up Cubillas’s career stems not from a lack of success, but rather the abundance of it. Over two decades, Cubillas scored over 200 goals in 500 club matches, over 20 goals in a Peruvian jersey and collected a host of individual and team awards. He was a cultural icon both in his native Peru but also in the United States and Portugal. Cubillas played football with a joy in his heart that radiated throughout the pitch. He played football in its purest form, creating passes and goals seemingly impossible for the average footballer. He dared fans and footballers to redefine the boundaries of the sport. After seeing Cubillas’s free-kick against Scotland, a young José Luis Chilavert decided that despite being a goalkeeper, he wanted to take free-kicks. After playing against Cubillas, Pelé decided that his successor had well and truly come. After over 500 games – almost all littered with moments of incredible genius – Cubillas decided to put an end to a truly magical career. Peru may never produce another El Nene, but for many in the nation of a certain age, words cannot describe how thankful they are to have produced just one.